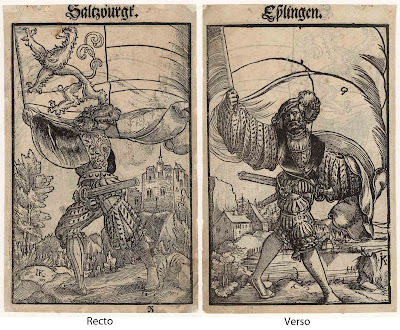 (double-sided sheet of woodcut prints) “Standard Bearers with the Coat of Arms of Salzburg (recto) and Esslingen (verso)”, 1545, after Jacob Köbel (c.1462–1533), published in “Wappen des heiligen Roemischen Reich”, Frankfurt. 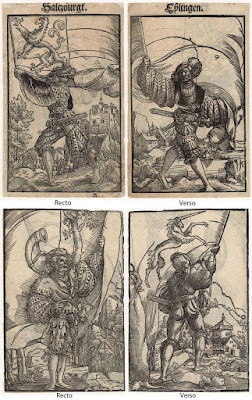 Condition: richly inked impressions in good condition, but with remnants of past mounting. 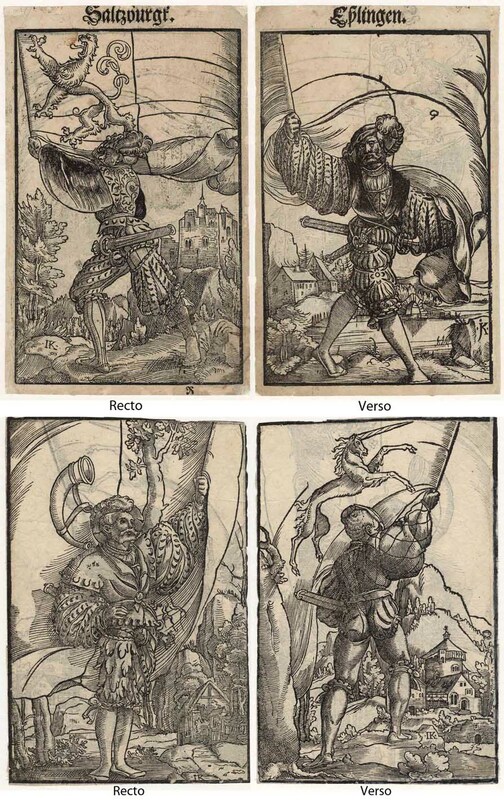 I am selling these original woodcuts from the 16th century for a total cost of AU$160 (currently US$116.78/EUR110.98/GBP95.04 at the time of this listing) including postage and handling to anywhere in the world. 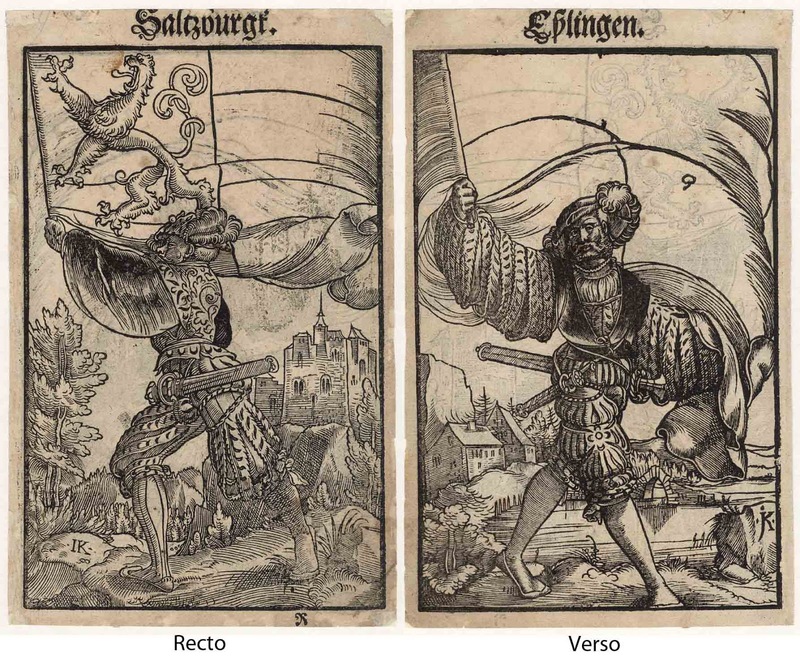 If you are interested in purchasing this superb sheet of double-sided prints, please contact me (oz_jim@printsandprinciples.com) and I will send you a PayPal invoice to make the payment easy. 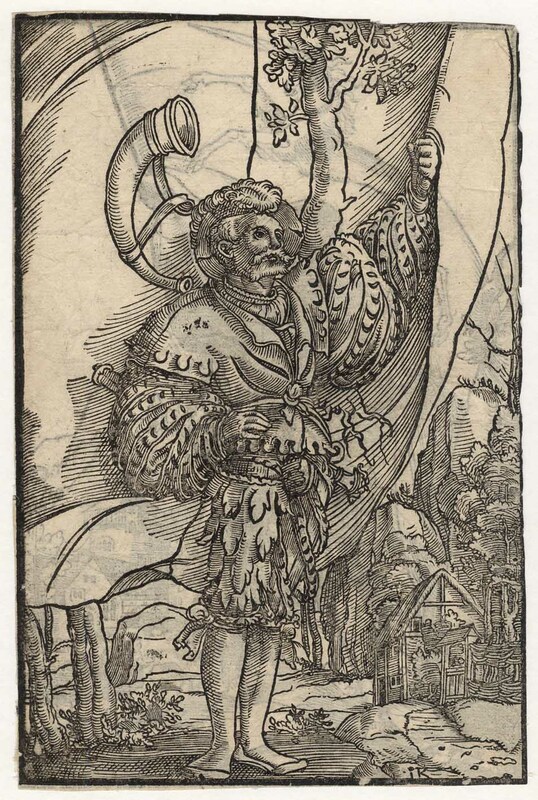 (double-sided sheet of woodcut prints) “Standard Bearers with the Coat of Arms of Friedrichshafen (formerly Buchhorn) (recto) and Seengen (verso)”, 1545, after Jacob Köbel (c.1462–1533), published in “Wappen des heiligen Roemischen Reich”, Frankfurt. 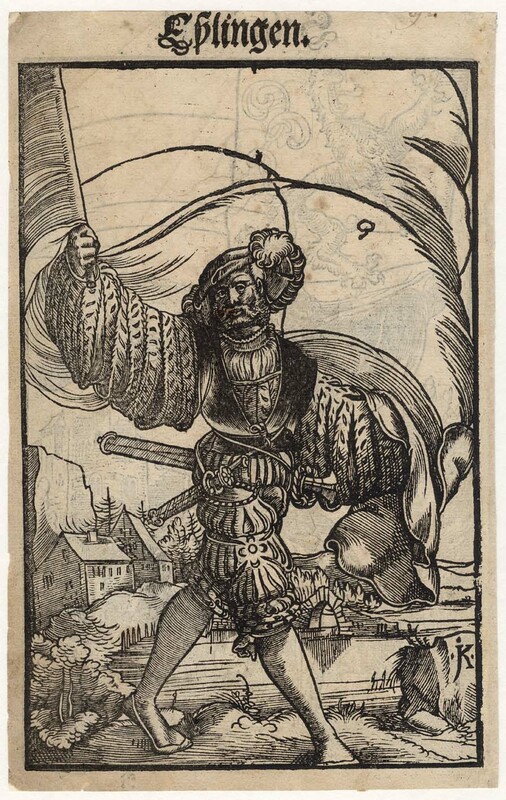 Condition: richly inked impressions in good condition, but with some retouching of the borderline (?). 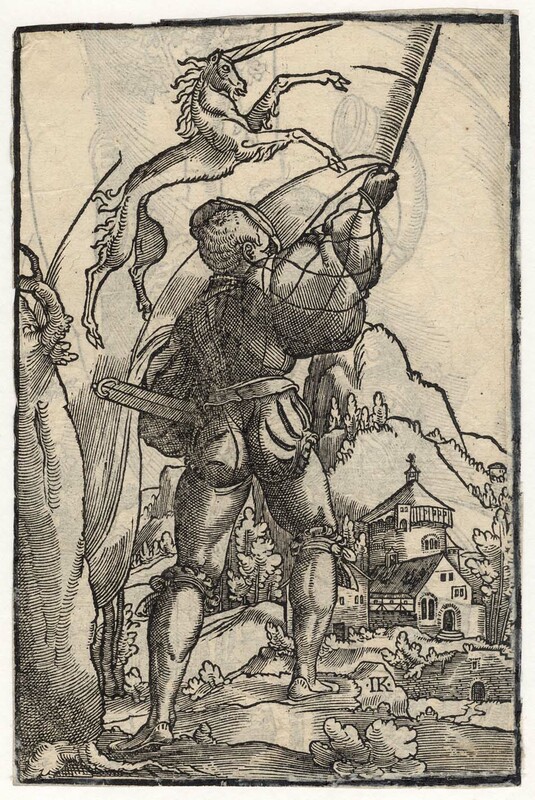 Artists become well-known for lots of different reasons and these reasons are not always strictly related to their artworks. 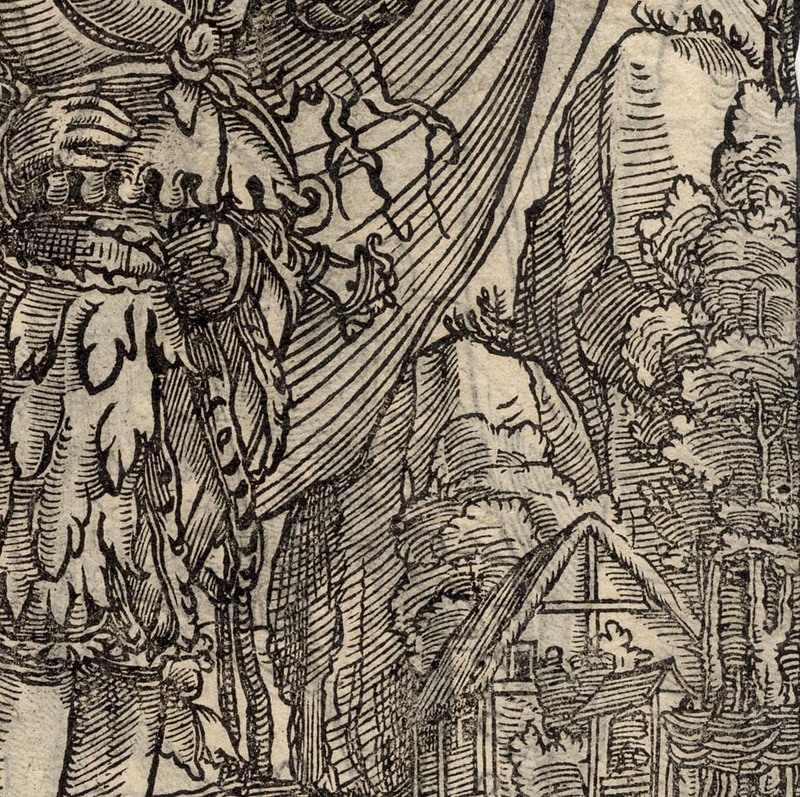 With regard to Jacob Köbel, whose designs Jacob Kallenberg (aka Master IK) crafted into these woodcut prints, Köbel is fondly remembered by statisticians of foot measurements for his print “Determination of mean foot length”, published in “Geometrei” (1575, Frankfurt) and that is now featured on the cover of the 3rd edition of Siegmund Brandt’s “Data Analysis: Statistical and Computational Methods for Scientists and Engineers” (1998). 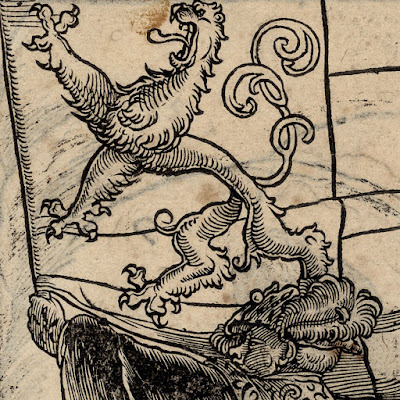 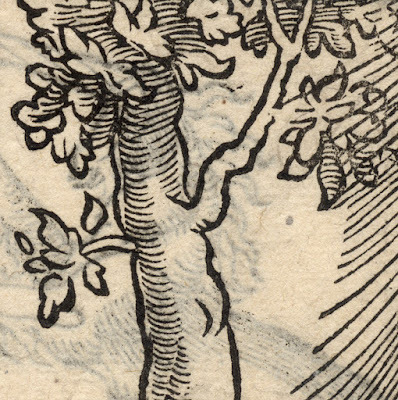 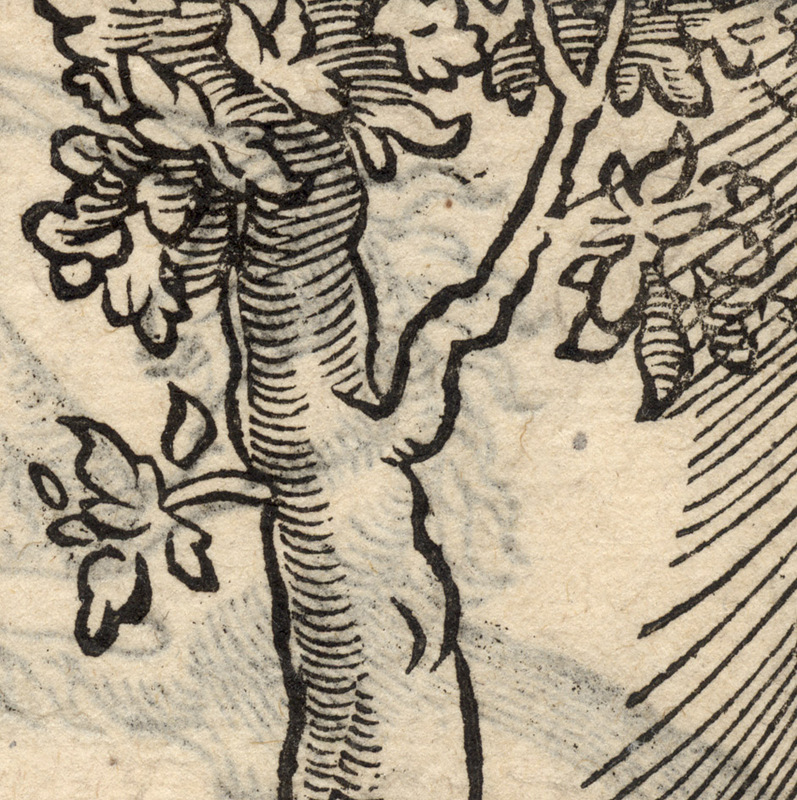 In the 16th century, however, the popularity of Kallenberg’s prints after Köbel’s designs rested more on their images of flags than foot measurements and—somewhat unnaturally—on the standard bearers themselves. 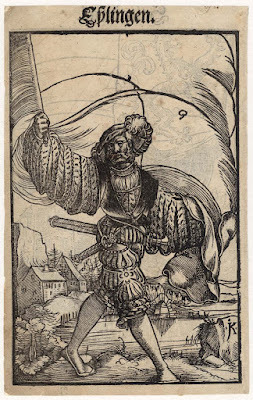 Regarding my quip about the wave of deep admiration for standard bearers, I wish to point out that one of the commonly featured subjects in prints of standard bearers and soldiers generally were lost women. 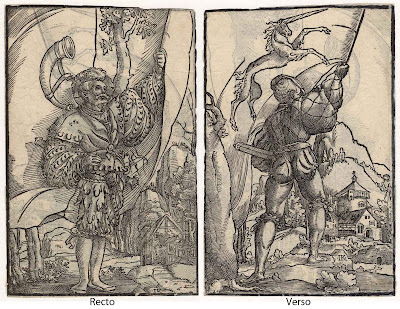 For example, one of Urs Graf’s (c.1485–1527) most celebrated prints, “Two Soldiers and a Woman with Death in a Tree” (1525), features a soldier-smitten woman tempting a pair of soldiers with her womanly charms. 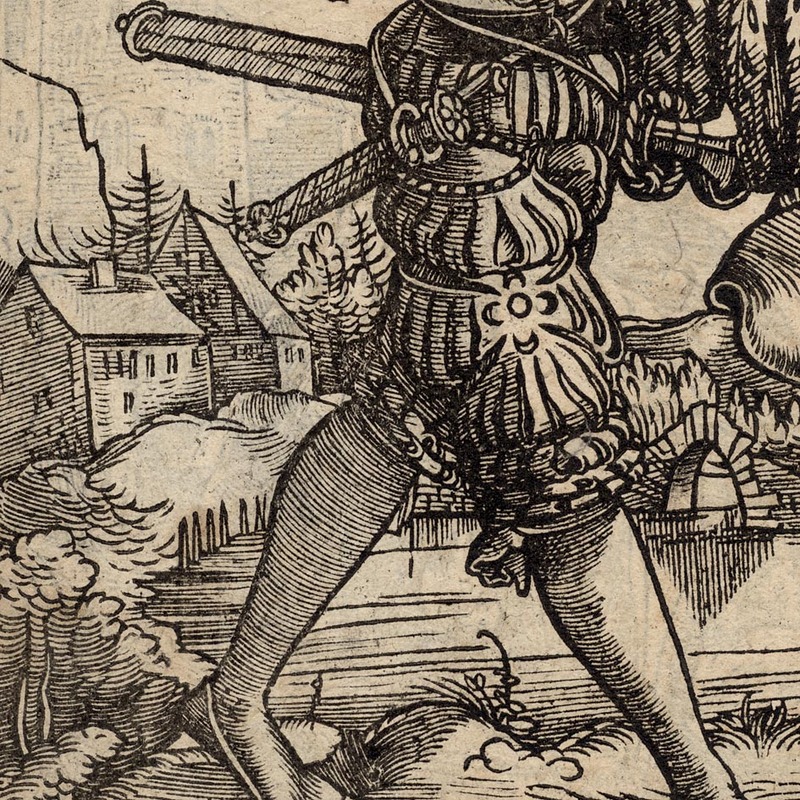 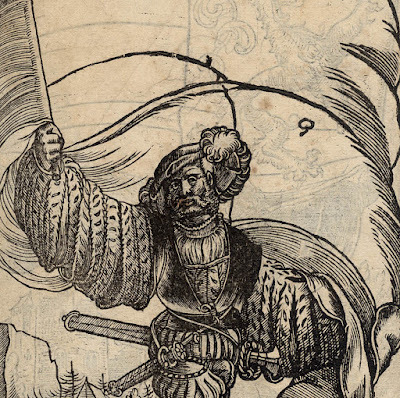 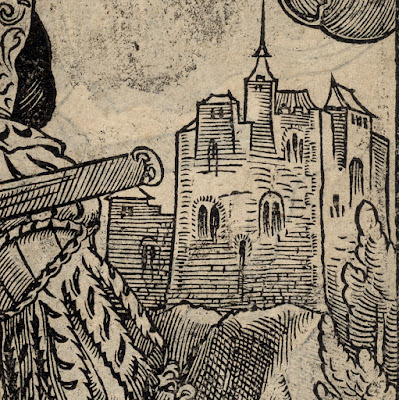 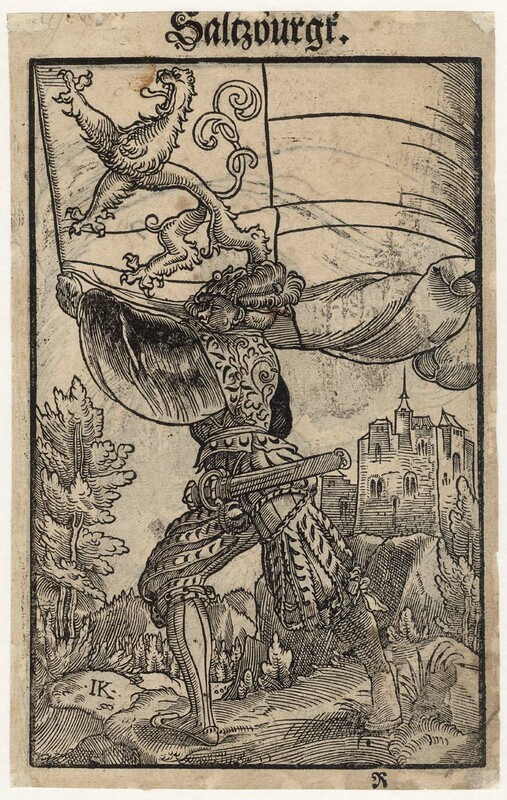 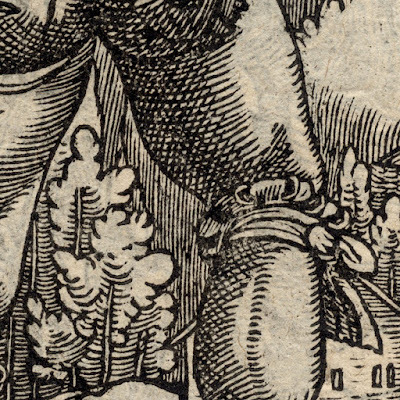 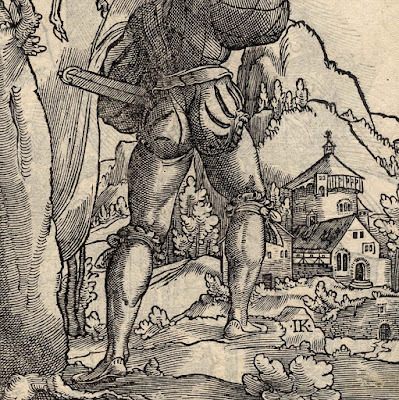 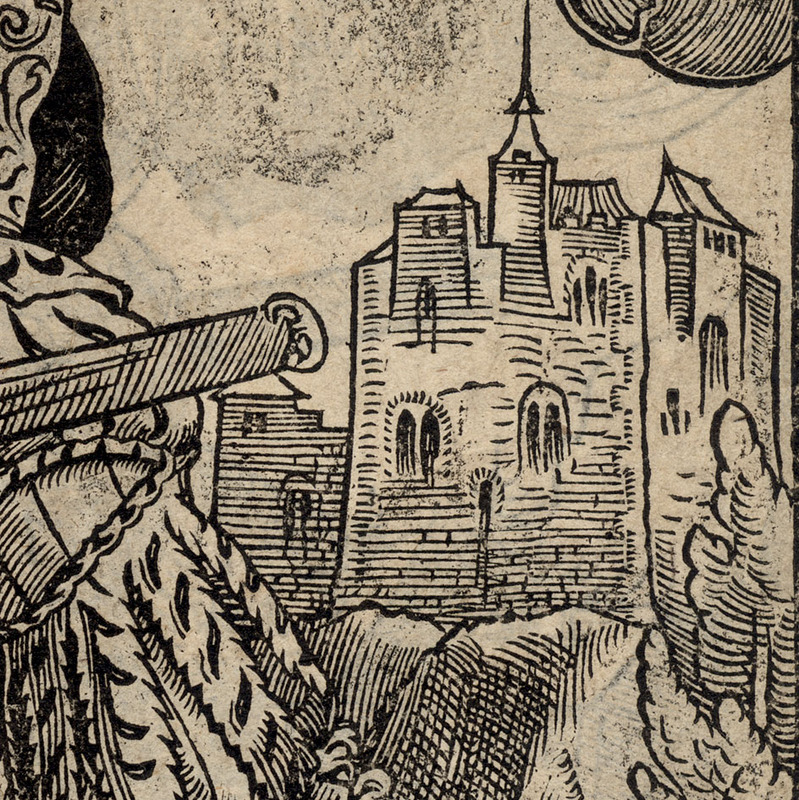 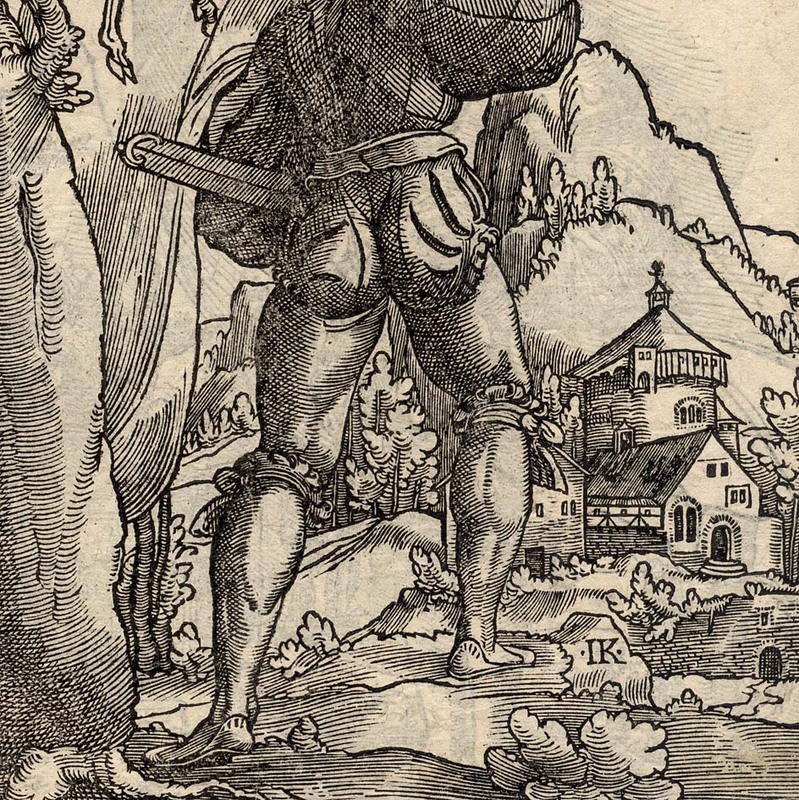 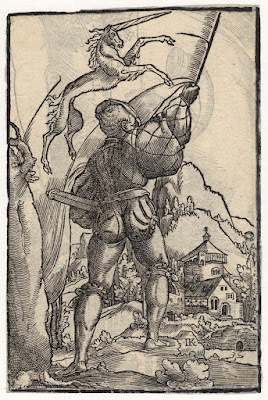 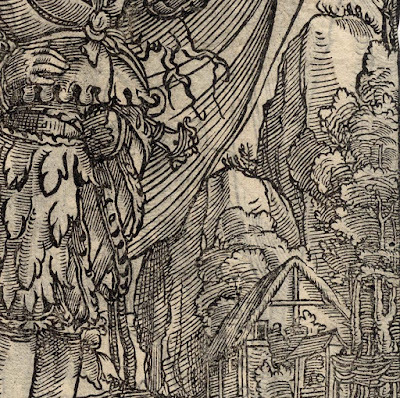 Another of Graf’s well-known prints of a similar genre is “Soldier with a Halberd and Prostitute” (1516). 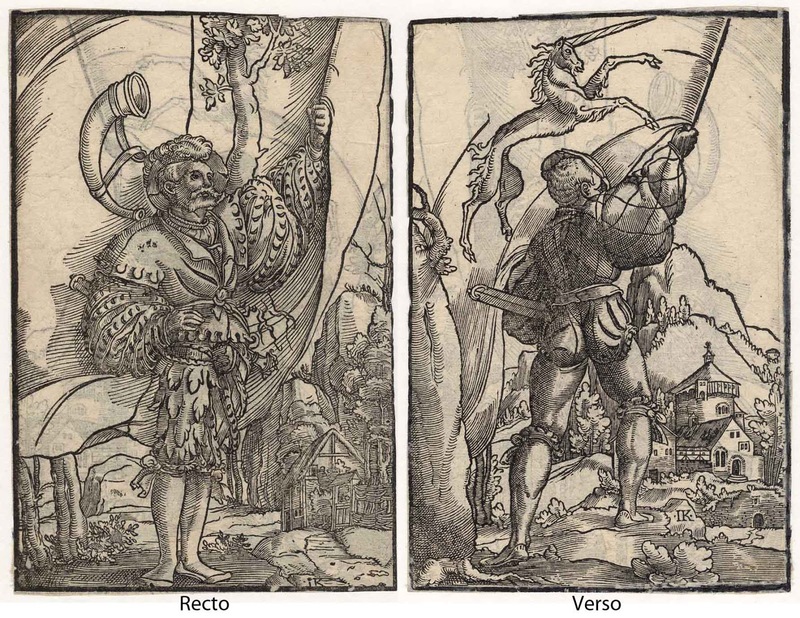 From a personal viewpoint, these images have the breath of life and vigour in them. 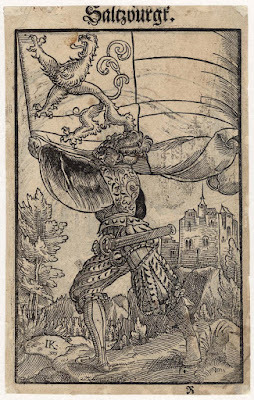 I love the way that the standards/flags billow around the figures holding them. 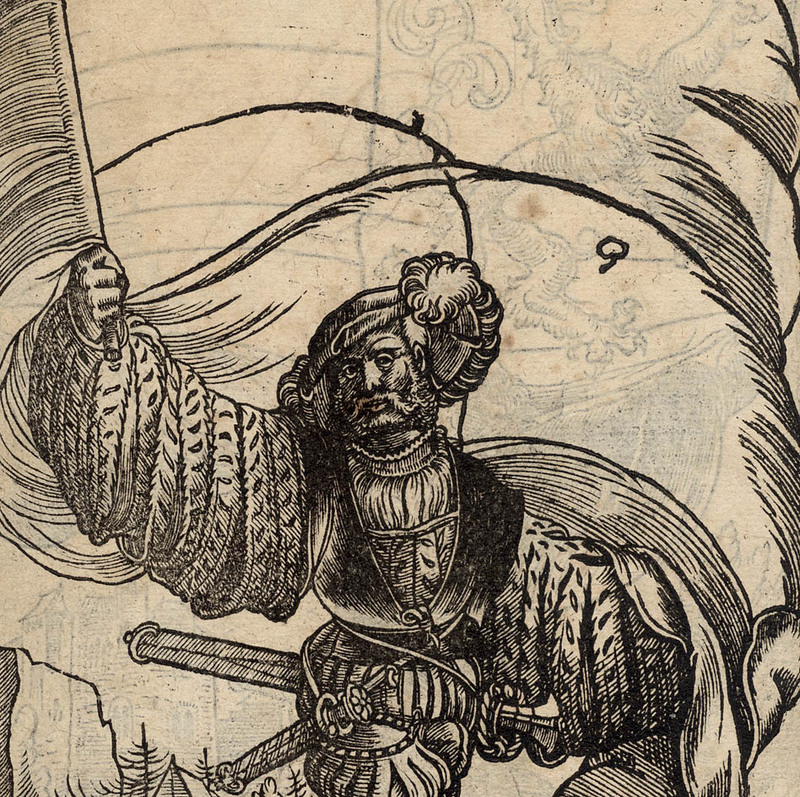 Adding another dimension to the flutter of fabric is the low angle of view—a worm’s eye view (if worms had eyes)—that presents the figures as monumental specimens of manliness.